A young man in mid twenties was wheeled in to intensive care. He was unable to breathe and his oxygen levels and blood pressure was falling within moments. Within no time he became unconscious following which CPR was started along with other supportive measures. Echocardiography was managed meanwhile was suggestive of pulmonary embolism. CPR was continued and simultaneously, thrombolytic drugs were pushed in. His pulse kept on coming and vanishing with monitors sometimes showing activity of heart and improved oxygen levels. A team of around nine doctors and nurses was taking care of airway, central and other lines. There was almost an orchestrated movement of staff with drugs being administered with superfast speed. Commands being given by the treating doctor were followed in split seconds. In the same trice, the team leader had to think far ahead about how he would be handling the challenging dynamics of that young human life who was almost at its fag end. He had to recognize, analyze and mitigate the situation within few seconds. He had to make split decisions and still had to be flexible with his decision and plans, altering them according to the responsiveness of the patient. Doing every bit in an electrifying instant, he had put in all his energy and experience to full use in those few seconds essential to save the young life. After around 35-40 minutes of high adrenaline rush time, the efforts paid off and silent smiles on faces of the team indicated that tornado had become manageable. The doctors and nurses, with sweat on foreheads, smiled quietly with mutual admiration. There was no clapping or cheering in this match of life and death to which the doctors and nurses are well accustomed. There were no spectators to encourage the team. The return of a robust pulse is all the cheering this team needed. There was no one to witness and applaud the zeal and anxiety of these performers, not even patient himself. Incidents such as one described above are common occurrences in medical practice. It takes a lot of inner mental as well as physical strength besides emotional resilience to tide through such situations. Even relatives, when required, are not able to sustain the adrenergic drive required at these times. Unlike the case above, the result may not be favorable in certain cases. It is not uncommon for relatives, to then question and start sparring match with doctors and nurses in case they fail in their brave attempt. Often even in successful resuscitations, questions are asked in preposterous manner about the incident. 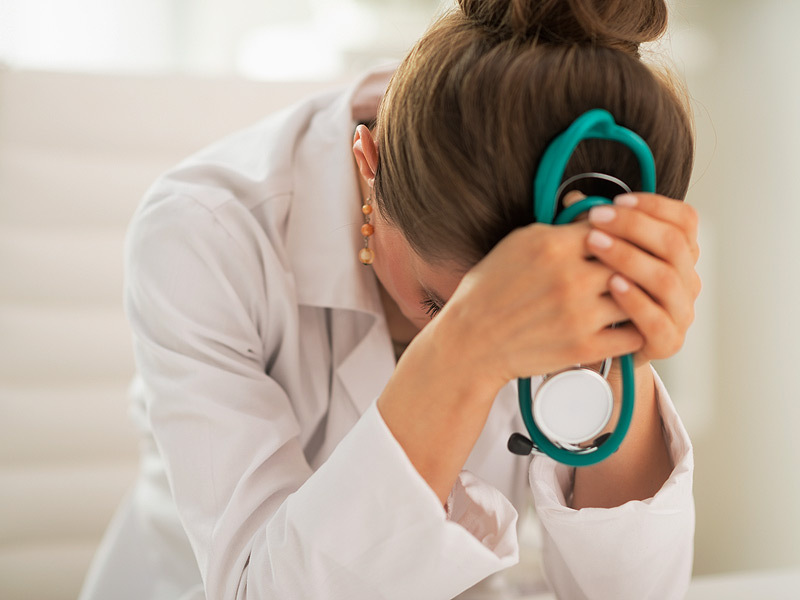 Doctors and nurses may even be verbally and physically abused if they fail despite their best efforts. Relatives can be vengeful and drag them to court to harass and punish them. Common assertion about the wrong injection is almost universal, even in most difficult scenarios. Courts and lawyers, deliberating over years with luxury of time, may find something or other to punish the savior, by doing retrospective analysis or by the wisdom of hindsight. Even if court rules after years that the doctor was right, revenge of patient’ relatives, monetary benefit to lawyers and harassment of doctor, both mentally and emotionally is complete. But they still carry on their noble job and though pained by these issues, doctor will just go to another bed and see what he can do for another patient. This cycle continues, every minute, day and night, all year round. Thousands get gift of life every minute by this wonderful community of doctors and nurses, irrespective of injury inflicted on them. After the abovementioned incident of successful CPR, I just went to doctor’s room to have tea and a cricket match was going on, streamed live on TV. On the screen, thousands of people were seen clapping and cheering the player who was swinging his arm ready to throw the ball and also the batsman. But to me, the adrenergic rush here was no match to what I had just experienced in the ICU. The cricket match was merely a trifling entertainment with a futile outcome. Every day in each hospital, there are one or more magnificent matches of life and death played without any spectators. Many a times our players (doctors and nurses) win and thousands of lives are salvaged back from brink of death. These extraordinary matches finish with just quiet smiles. There is no one to clap or cheer and no recognition or prizes to the player for winning these match of life and death. Few good patients and relatives, who do realize the magnitude of the act offer heartfelt thanks. The respect, trust and support of the relatives at such times is all that a doctor needs to rev up for his next case, a real match in true sense. In comparison to this frantic match of life and death, rest of all matches are insensate. Nice narration Pankaj. Appreciate your writing skills. This is not a match to me doing CPR. It’s a passion and mission to his profession. —–I want to highlight one aspect of the fall out of this tragedy. —– 23 persons died for no fault of theirs. They were in apparently good health at the time of their death. Most likely the cause of accident was ‘human error ‘ . In this case a compensation of Rs 3,50,000 was awarded to the kin of the deceased. Some more compensation may be awarded by some other agencies. ——- So, cost of life of a healthy human being in India is about 4 or 5 lacs . —— Now compare this with the award given by the Courts against a doctor when a patient ( who is NOT in perfect health at the time of his death ) dies during treatment. The compensation to the tune of Rs 15 Crores to Rs 20 Crores has already been awarded to the kin of the deceased. —– How does it happen that there is a quantum jump in the cost of life of a sick individual if he dies during medical treatment . Mind you , Medicine is not a perfect Science. Every day new treatment modalities are coming up. —– Is it because the Government feels that this is the only field where we can comfortably compete with USA ? Have our Judicial Officials read and understood the “Law of Tort ” of UK and USA ? Are they aware of the ” Unemployed Allowance ” as paid in USA ? How does that compare with the बेरोजगारी भत्ता as paid by any government!!!! !